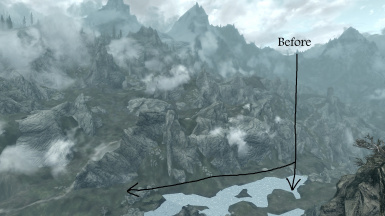 Skyrim's lod textures look flat and just unreal by default. 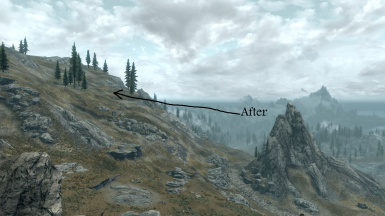 This is a texture replacer for distant terrain and lod trees, which greatly increases realism with absolutely no performance drop on any PC. 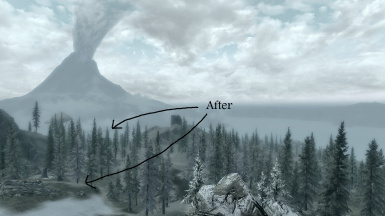 This mod overhauls many aspects of the LoD, and supports Skyrim's DLC. 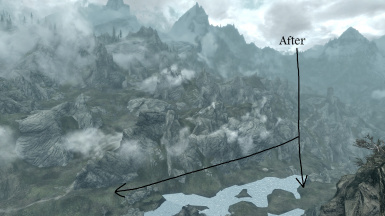 Anyone can modify this or incorporate parts of it into their mods, no credit or permission required. However, do not simply re-post it exactly as it is, under your name. I have decided not to support compatibility versions for SFO or any other mod, because of classes and other concerns. This is a free resource for anyone who wants to improve upon it. 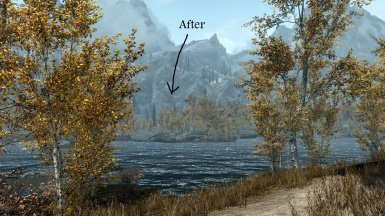 The final 2.5 version of this mod incorporates the last few color fixes to aspen tree LoD and snowy pine LoD, and works well for the final Skyrim patch and DLC. This mod can be considered done. If you use ENB, RCRN, an FXAA Injector, SweetFX, or any other mod that alters the lighting, this mod may look different than it does in the screenshots. You'll most likely be able to use DTTL without any anomalies, but keep in mind that it's a possibility, and it's not something I can change. You might be wondering why the latest version (2.5) is smaller than the earlier versions. 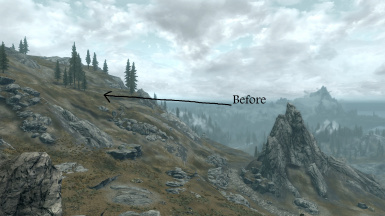 It's because I've removed interior worldspace specific textures. 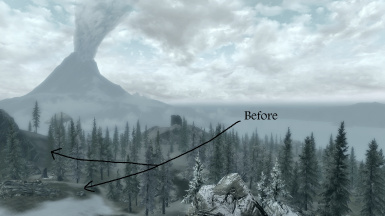 Previously, certain dungeon LoDs with their own lighting templates were replaced as well. These textures are rarely ever seen in game, so I decided to trim them out of 2.5 to avoid any possible bugs or inconsistencies in the final release. I doubt you will be able to see any negative difference. 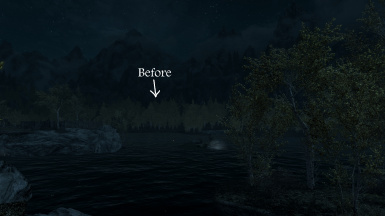 I know several mods claim to have no performance loss, but sometimes what they really mean is that the performance loss isn't very noticeable. DTTL isn't like that. 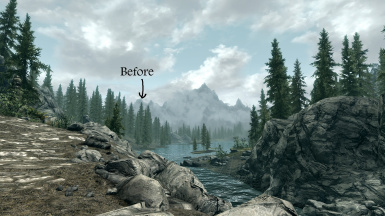 It's actually impossible for DTTL to decrease performance at all, because all the textures and noise is the same resolution as vanilla Skyrim. Only the artistic direction has been changed, not the system requirements.